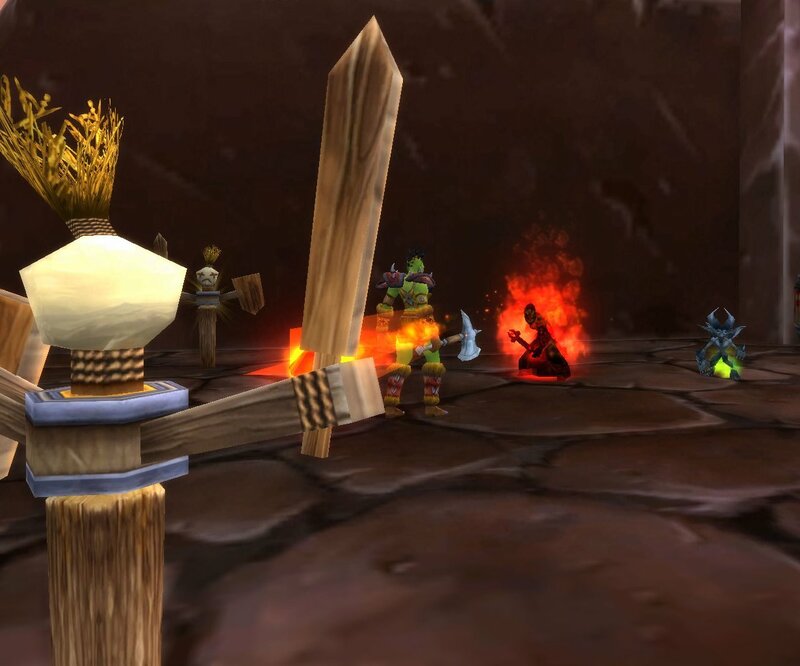 This post should be short and sweet because we’re literally counting the days now to the new expansion and I hope you’re having fun getting your toons prepared for the big day. I’m not quite there yet myself because I’m still cleaning out bank items and tweaking up my UI and key bindings, but I’m making progress and I hope you are too for your preparation! The date of September the 25th fast approaches and soon enough we’ll all be meeting the challenges that face us in the Mists of Pandaria Expansion whether we’re ready or not. AoE or a.k.a. Area of Effect is the subject for today and between work, RL, and the game I’m sure we’re all feeling a little bit under the crunch of AoE pain while we’re getting ready for the launch. 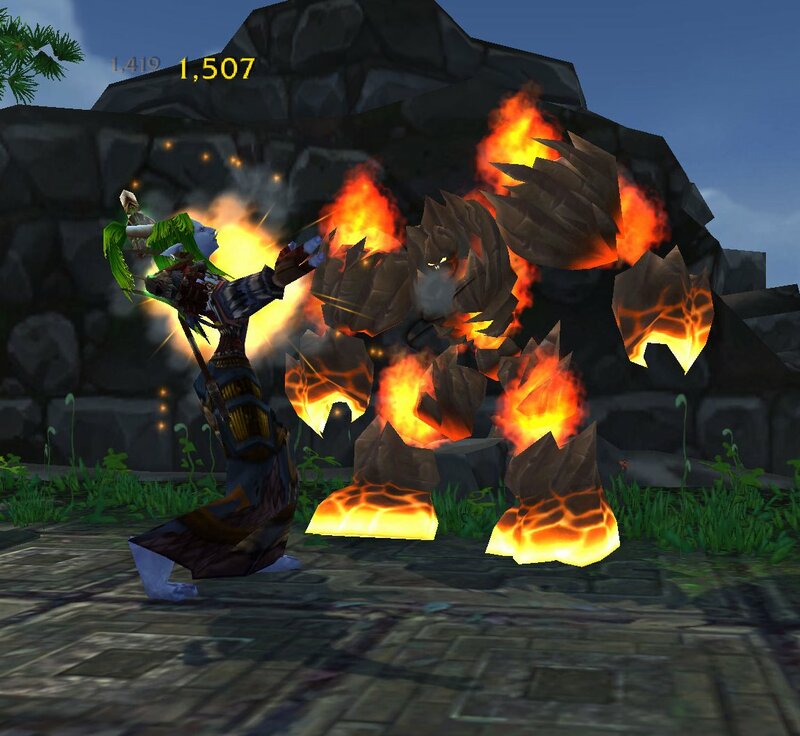 Luckily, in game there are two demons which can serve a warlock well providing just that…heavy AoE. Of course, I’m talking about the Infernal and the Abyssal. 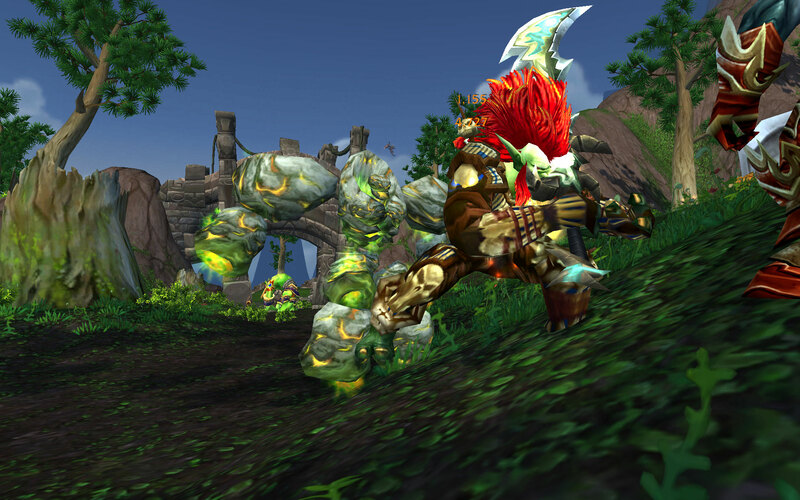 Like our single target dps minions the Doomguard and the Terrorguard, these guys can help bring the pain…oh, hells yeah they can! If you’re any other class, other than a wonderful warlock, and are reading this trying to get an edge on ‘locks (Yes, I’m looking at you Mr. Rivs and don’t think I forget your Bday!) my best advice is to keep reading knowing that if you see one of these bad boys of AoE romping down upon you, the only thing you need to learn is to run. Consider that tip a small gift I give to you and to the rest of the inferior races in WoW. Say it with me – A 10 Minute Global Cooldown. Wow, it even feels long to say it. Sadly, both the Infernal and the Abyssal share a 10 gcd with both of the single target dps minions the Doomguard and Terrorguard. These minion are matched pairs where you’ll have the ability to control either a single target minion or an AoE minion, but sadly not both at the same time due to the really painful 10 min nerf from mages QQing on the forums gcd mechanics. As warlocks you’ll have the choice of using either the Infernal / Doomguard combo from levels 1 – 90 or if you’re level 75 and choose the Grimoire of Supremacy talent then you will get the upgrade minions of both the Abyssal / Terrorguard from levels 75 – 90. 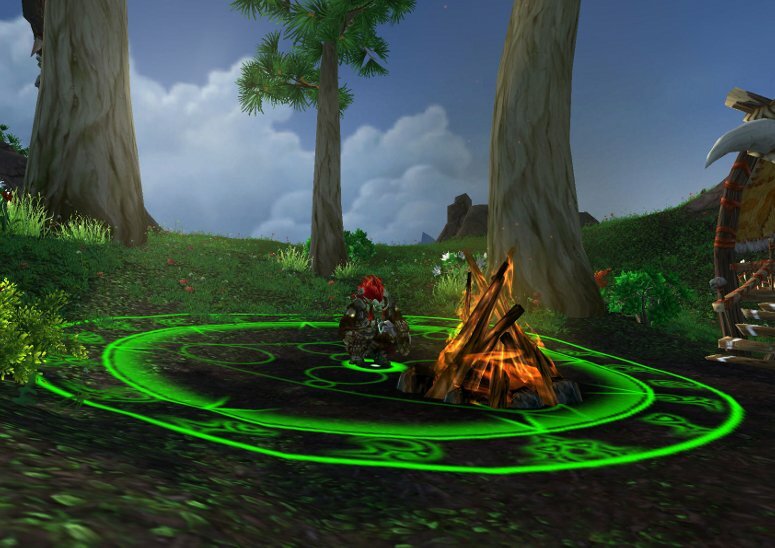 Summon Infernal – 30 yard range and instant cast spell on a 10 minute gcd. This spell summons a meteor from the Twisting Nether for 11,524 fire damage and stuns all enemies in the area for 2 seconds. 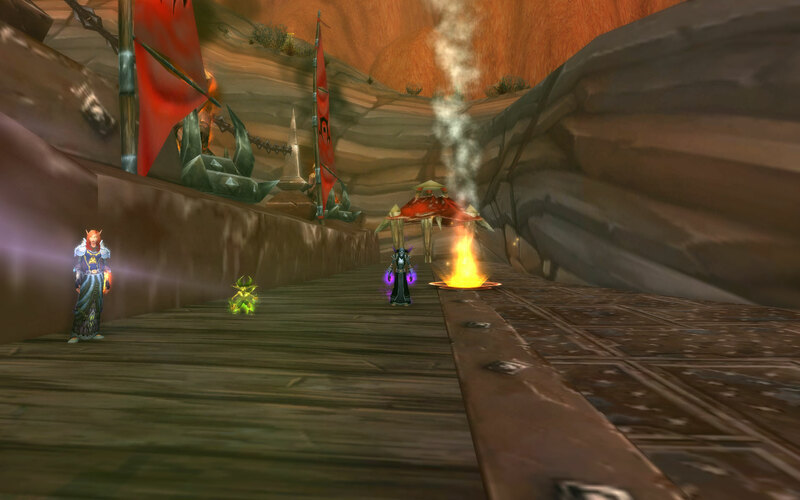 An Infernal rises from the crater under the command of the warlock for 1 minute. The Infernal deals strong AoE damage and is drawn to attack targets near the impact point. Easy peasy pain in a single button! My beta Infernal doing my bidding! Other than the look of the new skin and the 20% increase in dps the Abyssal brings due to the Grimoire of Supremacy talent you easily see these two AoE demons are the same. Summon Abyssal – 30 yard range and instant cast spell on a 10 minute gcd. This spell summons a meteor from the Twisting Nether for 12.559 fire damage and stuns all enemies in the area for 2 seconds. 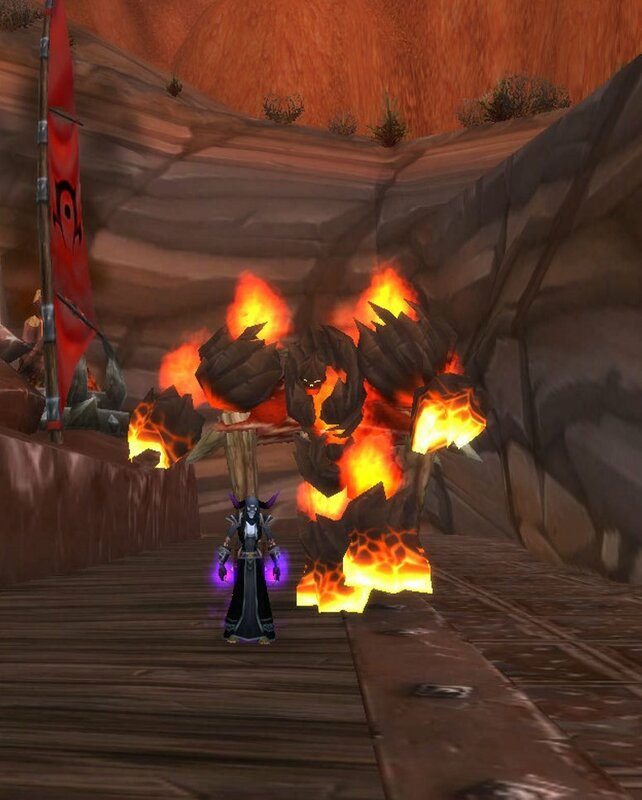 An Infernal rises from the crater under the command of the warlock for 1 minute. The Abyssal deals strong AoE damage and is drawn to attack targets near the impact point. Same wording as the Infernal other than the numbers on the initial damage. So in the course of a minute, these demons bring an upfront dps smack, a quick stun, and then sweet tasty AoE to our enemies for another 58 seconds. Trust me, if you’re a newer warlock you’ll come to appreciate them in so many ways. I’m already sure you can think of several examples of where these minions of mayhem will come in handy to you, and as a detriment to your foes. An Abyssal risen and ready to pummel! /s And now…on with the show! See what I mean? Isn’t that some good old fashioned fun and self entertainment? Yes, I know some people really get annoyed when other players macro sayings or yelling expressions into their spells, but who cares what they think? We’re warlocks. We’re born to rule and destroy things while constantly reminding others why they hate us so much. So enjoy the fun and since all good Dark Art knowledge is best shared with friends, please let me know what kind of smart-alec, snarky, warlocky sayings you might use instead. I’d love to read them, and if you send one in I’ll make sure to start a list for our brethren ‘locks to see them as well. Oh, the simple joys of being a warlock….